A view of one of the central streets in Budapest. The buildings are gorgeous, but you probably don’t want to live here (read on to learn why). It’s been a week already since my last blog post. To make up for not posting anything in the meantime, this will be an extra long article. I present you: the complete guide to finding a rental apartment in Budapest. The past week I’ve been pretty busy searching for a new place to live. Yesterday I finally signed the lease. My new flat is a pretty awesome pad in the city centre. 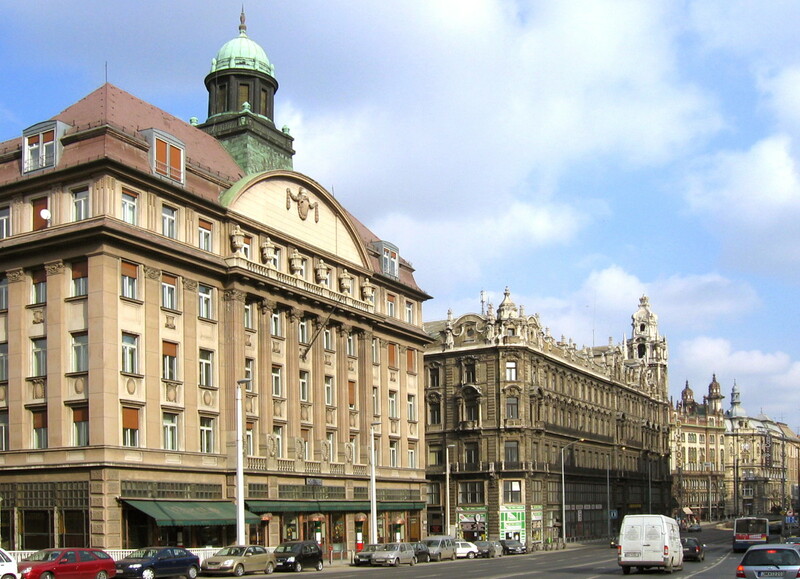 The apartment is situated in an old building in District VII, half way between the Grand Boulevard and the City Park. On the inside it has been completely renovated and equipped with high-end furniture and appliances. In other words, the perfect place to move in with just my two bags and a suitcase. My awesome new pad in Budapest. Finding this flat had not been easy. I had to figure out which neighbourhoods would be good to live in and which not. I had to navigate through the rental offers available both online and offline… in Hungarian (thank Google for translate!). I had to learn to understand the cost structure and conditions of rental flats here. And finally I had to negotiate the terms of the lease with a real estate broker who spoke very few words of English (kudos to him for persevering!). To save you some of the trouble, I wrote this guide on how to find a rental apartment in Budapest. It’ll take you through the steps from scouting for a nice place to signing the lease. I hope that it’ll help you to get a nice flat in this wonderful city. 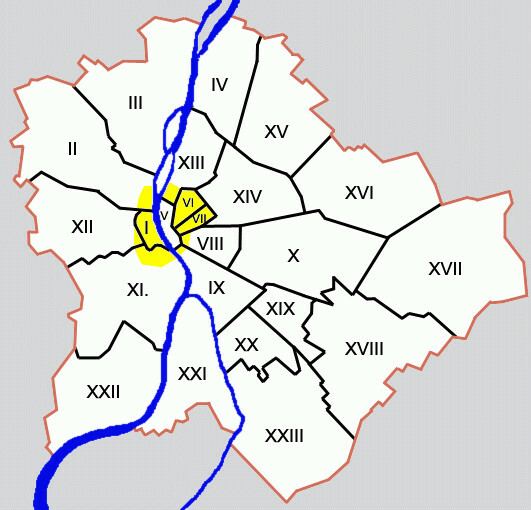 The districts of Budapest. 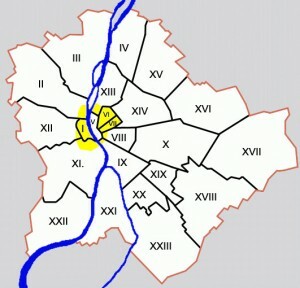 In yellow are marked the areas that I would consider living in. Like any new place I move to, I started the search with some casual walks through the city. I like to get a feel for the atmosphere in various neighbourhoods, and the first week of my time here I didn’t put much active work into the flat search. At any rate I had secured an apartment for my first month in Budapest through Airbnb, so I was under no pressure to act. This approach is something I can recommend to anyone looking for a new flat in any city. If you’re new to the town, get a short-term rental for the first couple of weeks, so that you have time to look around and see which areas you like and which you don’t like. Also, it will enable you to see potential rentals with your own eyes rather than to just trust some pictures on the internet. I will devote a future article to the various districts and neighbourhoods of Budapest. Each has its own character, and it matters which area you pick to live for the kind of experience you will have in this city. The conclusion of my search was that I wanted to live in district I, VI, or VII, or in the most central parts of II, VIII, IX, XII, or XIII. These areas strike a good balance between excitement and tranquility. Farther away from the centre would just be too dull. District V, the very centre, would be too crowded and touristy. Being close to the 24-hour tram line 6 around the city centre is a plus. With this in mind I started my search. There are a number of websites that have Budapest rental listings in English. In many cases this is simply an automatically translated version of the Hungarian text, so it may not be entirely accurate. Also, the fact that there is an English listing on the site in no way guarantees that the owner or his agent will be able to speak English (see below). In some cases you can apply a very detailed filter to your search regarding things like location, price, luxury and amenities. Aside from using internet sites, I also tried to make a few friends and let them know I was looking for a place. It resulted in a tip or two, but in the end nothing I would use. Finally I paid attention to ads I saw on the street or in windows of real estate agencies, but most of those were for sales rather than rentals. When it comes to finding a rental flat in Budapest, internet is your friend. Short term rentals are easiest to find through Airbnb or Booking.com. They are generally aimed at the vacation rental market, and priced accordingly. Even though these prices are too high to consider renting a short-term for more than three months, you might find something good for under $800 a month. The big advantage is that all short term rental apartments will be completely furnished, as well as equipped with kitchenware, bedding, towels, etc. You really only have to bring your clothes and your laptop and you’re good to go. Also, for short term rentals all extra costs and utilities tend to be included in the rental price. Season and semester rentals are usually also furnished, but may or may not be equipped with things like cooking pots, cutlery, and bedlinen. Prices are much closer to those of long-term rentals, and there are many cheap offerings available. A major target market here is university students. This also means that the level of maintenance and furnishing cannot be counted on off hand, so don’t book something without seeing it first. The lease you’ll sign will usually be for a definite period, which is not ideal if you’re not sure yet how long you’d like to stay. Also, many landlords will prefer to let their flats for periods that coincide with the university semesters, so it might be more difficult to find something if you’re looking outside these periods. Long-term rentals typically have the lowest prices for what you get. You can find an unfurnished run-down flat in a bad neighbourhood for as little as $150 a month, and a nice furnished apartment starts around $500 (without utilities). A long-term rental contract tends to be for an indefinite period, which means that you can stay as long as you like. You do have to sign for at least 12 months, though, which is annoying if you want to remain flexible. Many owners prefer to let long-term, as it means that they won’t have to look for a new tenant again soon. Keep in mind that for long-term rentals you can often negotiate the price and the minimum rental term. This might make a long-term rental a viable option even if you only plan to stay for half a year. 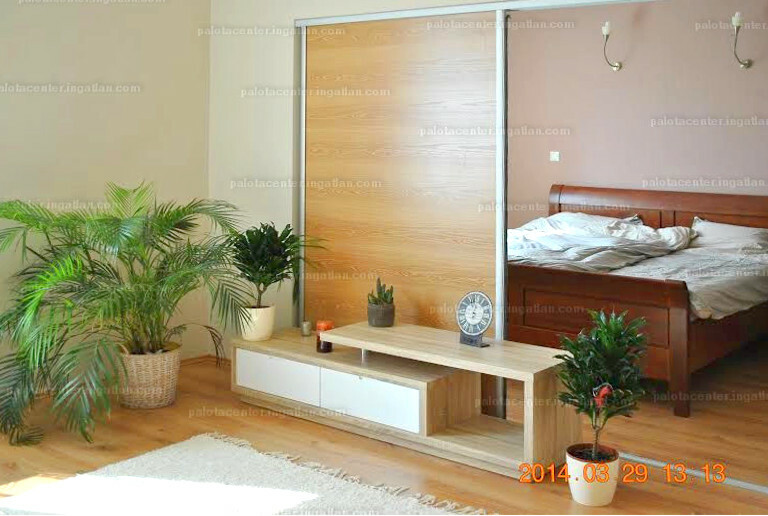 When renting a flat in Budapest, rent is not the only cost you will face. Many rentals will also have ‘common costs‘, which are fees for the cleaning and maintenance of the building. In some cases they also include water or heating. These common costs vary wildly, from as low as $10 to as much as $200 a month. So look carefully how much these costs will add to your monthly bill. Generally the common costs are higher if the building has an elevator, a doorman, a pool or gym, or a parking garage, and also if they include certain utilities. If none of these things are included, you shouldn’t pay more than $70 a month. Utilities are another cost that can be substantial. Normally the owner will keep all utilities in his name, and you will either pay the bills by the meter or a flat fee to cover these costs. This is great, since you won’t have to deal with the utility companies directly. In the winter months it can get very cold in Budapest, which leads to high energy bills. 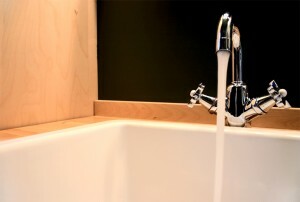 Electric heating will be more expensive than gas heating, and district heating is the cheapest. If the heating costs are included in the rent or common costs, this will save you quite a bit in winter. From April through October you don’t generally need heating, though, so if you are planning on living in Budapest only during those months, try to pay by the meter. If your flat has airconditioning / climate control, the electricity bill can also run pretty high in the summer months when it gets hot. So think carefully whether that’s something you need. Other utilities include water, gas, internet, cable TV, and telephone. These shouldn’t be too expensive. 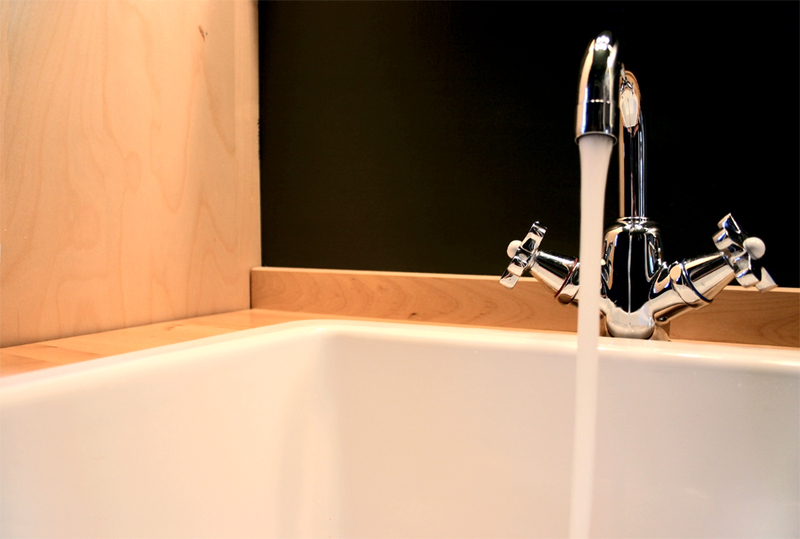 In total your expected utility bills can be anywhere between $50 and $250 a month. Almost any landlord will require you to pay a security deposit. This will be used to cover any damage you might inflict upon the property or any payments that you fail to make. While some sources report the typical security deposit to be between one and three months rent, I’ve only seen listings requiring two months rent as a deposit. So generally you will have to have three months rent in cash available to move into a new place. Keep in mind that, contrary to some other places in the world, any agency fees for your new flat should be paid by the owner and not by the tenant. Of course, in the end you will end up paying for them through the rent. But you shouldn’t get a separate bill for the brokerage services provided by the agent (which in other countries can be as much as the equivalent of two months rent). If an agency does ask you for money, take your business elsewhere. Once you’ve found an attractive rental apartment within your budget, it is time to arrange a viewing. 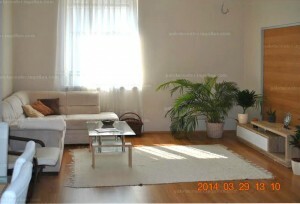 The pictures on rental websites can be deceiving, so you absolutely must go and see the place with your own eyes. This is easier said than done. If you used a website like Realestatehungary.hu or Alberlet.hu, you’ll probably have gotten a phone number, or used the little contact form on the site. In 49 out of 50 cases this will put you in touch with a real estate agent representing the owner. Many places are put on the market by multiple agents, so it pays to look if there are any price differences between their listings (sometimes there are). It is preferable to contact the agent by phone, as you’ll get a faster response, and you’ll immediately be able to see if they speak any English. Many don’t. When you call, say “Hello”, followed by a “Be sail ango-lool?” (phonetic spelling). If you’re lucky, you’ll get a response like “a little”, after which you can talk about arranging a viewing of the apartment you’re interested in. You should normally be able to view the flat within a few days. If all you get is something in Hungarian, or after you repeat the question a simple “nem”, it means you should try your luck elsewhere. While you could ask some questions to the English-speaking agent over the phone, it is better to save them for the viewing. Any questions you have about the condition of the apartment or the terms of the lease can be part of your negotiation tactics. I can’t tell you whether an apartment you view is suitable or not. This depends mostly on your personal preferences, and you might place a different value than I on things like location, size, layout, outside space, surroundings, quality of furnishing, etc. The one thing that I can say is that the rental market in Budapest isn’t too tight, and that there are many beautifully furnished apartments to be found all over town. So if you don’t get a good feeling about the one you’re viewing, you should probably keep looking. Ask for a lower monthly rent. The asking price may be as much as 10% higher than the price the owner is willing to settle for. Ask for a shorter minimum rental period. This will generally raise the price a bit, but it will give you more flexibility. Ask if the apartment can be equipped with certain items you need. It’ll save you the cost of buying them later, and the owner may consider it a good investment if he can sway your decision with it. You could negotiate to pay an all-in price for the utilities and common costs rather than pay by the meter. You’ll usually end up paying more, but if it gives you some peace of mind it might be worth the cost. Ask for a lower security deposit. I don’t like to do this, as it doesn’t exactly inspire confidence and it gains me very little, but if you’re strapped for cash it might be worth it to you. Of course, the extent of what you can negotiate depends on how much English the owner understands, and on how may other people are interested in the place. If you can’t talk to the owner directly, you’ll have to do all your negotiating through the agent. While that will put you at a disadvantage, you have one trump card here: if you don’t sign quickly, the agent might lose his business (and commission) to a competitor. This means that if you show that you can act quickly, the agent might be amenable to sell your terms to the owner. So you managed to negotiate terms for your rental apartment that you can live with? Then all that’s left is signing the contract, paying the security deposit, and moving in. If you don’t understand Hungarian, ask for an English or dual-language contract. You do want to know what you’re signing! Here are some important points that should be covered in the contract. If not, ask the real estate agent for it! The monthly rent, the way the common costs and utilities are calculated, and the manner of payment. The minimum term of the lease. The way the contract is extended after the minimum term. The conditions under which the rental agreement can be terminated by the owner (e.g. bad behaviour). The notice period if you want to end the contract after the minimum term has expired. The time and manner in which the security deposit will be refunded at the end of the rental period. It is not a bad idea to have a Hungarian speaking friend look at your contract before signing it. Even if the contract is dual-language, the Hungarian version is usually the official one. Normally you will have to pay the security deposit and the first month of rent when you sign the contract. Make sure that you get a receipt for the payment. You don’t want to get into any discussion later about whether these amounts were paid or not. And that’s it! You got your awesome new apartment and are ready to move in. Congratulations! I hope that you are as happy with your new place as I am with mine. If this guide has been useful to you, please share it on Facebook or Twitter or your favourite social networking site (using one of the buttons below). That way others can benefit from the same information. And if you have anything to add, by all means, go ahead and do so in the comments section below. @Ania: Districts VI and VII are great if you like going out. There’s always a lot happening. Inside the Körút can be a bit noisy, but outside it’s generally quiet. District V has very touristy parts, which I would avoid, but there are also nice and quiet streets a stone throw away from the action. Keep in mind that bars and restaurants here are more expensive. District VIII inside the Körút is interesting, but avoid that district outside. District I is very central on the Buda side, but feels rather dead and boring except for the castle. Districts II and XII are very nice, but mostly away from the action and poorly connected by public transportation. Especially XII can be far out, which is good if you like nature, but bad if you don’t want to drive a car. I’ve heard good things about district XI and not-so-good things about IX. XIII can be considered when you’re in the part just next to Margitsziget. Any other districts I wouldn’t recommend, as you’d be living in the suburbs. Let me know what you decide! In all I think your guide is helpfull and most important even if the agent speak well English you should have your own or friend to help to understand the small print! Aim hungaryan living for 43 years outside Hungary but even I have difficulties whit paperwork, because the low and the rules are much different to western countries. @Július: Thanks for your comment. You make a valid point. The law in Hungary is different from many other countries, and this leads to different rights of tenants and landlords. My landlord claims that it is to his disadvantage, but I’ve also heard the opposite somewhere. 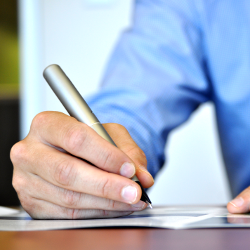 It is a good idea to familiarize yourself with the local law before signing a rental agreement. This is indeed a very helpful article . Very helpful to me as I will be moving budapest soon . Thanks a ton . Good luck! I hope you enjoy the city! Thank you for all the info very useful. Is it common to pay the rent and the deposit in cash in Hungary. Interesting article. I am thinking about moving to Budapest. Would you say the housing market is still relaxed at the moment (2018)?